Recently, I have been looking to purchase an active graphics tablet - the kind where you can actually see what you are drawing on the tablet. I have a Wacom Bamboo Create Pen & Touch, which has a lot of nice features, but I find it really difficult to draw on the tablet surface while looking up at the monitor. 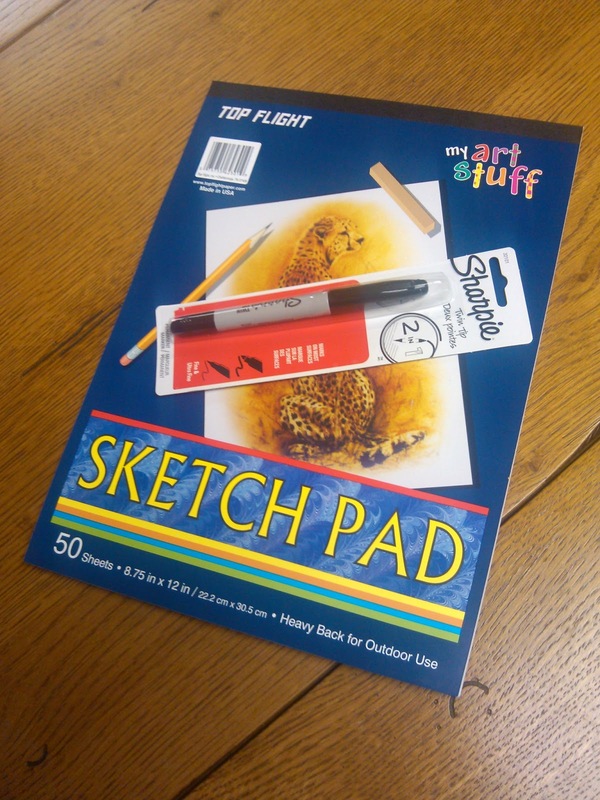 It works OK for rough sketches but is difficult for more detailed drawings or paintings. So, I started looking at the Wacom Cintiq ($2,400), but it was much too expensive for me. Then I looked at the Yiynova Tablet-Monitor ($450), which was much more affordable but got mixed reviews. I also considered getting an iPad because I saw some impressive You Tube videos of artists using the iPad Retina ($500) for artwork. But yesterday I was surprised to find this amazing tablet (pictured) at Krogers grocery store of all places, for $2.50! The pen-stylus didn't come with it and I had to buy that separately, but since the tablet was so affordable, I really didn't mind. I chose the upgraded Sharpie with fine and ultrafine points built in one. It doesn't require batteries either! + Absolutely perfect WYSWYG display. + sizes drawing at 100% every time. + synchronization between the tablet and Sharpie are instant and flawless. In spite of the "CONS", I would gladly buy this tablet again. I highly recommend it!